Plus, ISIS, public opinion in Myanmar, the Chinese military’s weaknesses, aircraft carriers, and more. Weekend links. Indian Prime Minister Narendra Modi visited the Northeastern Indian state of Arunachal Pradesh on Friday, assuring the state’s residents that the central government would direct more resources toward its development over the next five years. 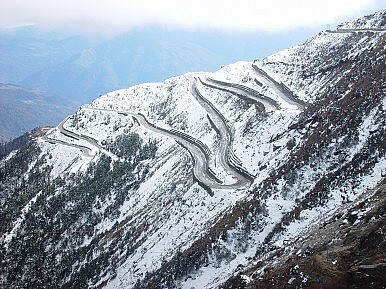 Arunachal Pradesh is disputed, almost in its entirety, by China, which claims it as part of South Tibet. The Chinese government condemned Modi’s visit to the state, noting that it “runs counter” to a settlement of the India-China border dispute. Chinese foreign ministry spokesperson Hua Chunying added, “We urge the Indian side to take China’s solemn concerns seriously.” Arunachal Pradesh, in part owing to its sensitivity as a disputed territory, has traditionally been a low development priority for the Indian government. After coming to power last year, Modi’s government, particularly under the guidance of Home Affairs Minister Kiren Rijiju, an Arunachal native, has made the state’s development a priority. Graeme Wood’s piece on ISIS, Islam, and strategy over at The Atlantic made a major splash on social media earlier this week. The piece certainly warrants a thorough read if you missed it — it helps fill an important gap in our current liberal discourse on ISIS, addressing the extent to which the group is actually Islamic. Wood’s piece is especially pertinent following the White House’s recently concluded Summit on Countering Violent Extremism (see President Barack Obama’s closing remarks here). The Asia Foundation released the results of its first nationwide survey of public opinion in Myanmar. Their research offers a valuable insight into what the general public in Myanmar thinks about the country’s ongoing political reforms. In general, the public are optimistic about the country’s political future but care primarily about positive economic outcomes. The study, however, reveals considerable nuances on other issues, including democracy and gender issues. Over at War on the Rocks, Dennis J. Blasko outlines 10 reasons why China “will have trouble fighting a modern war.” This piece is a must-read for anyone interested in getting a run-down of the outstanding weaknesses in the People’s Liberation Army. It touches on everything from chain of command shortcomings to institutional issues. As Diplomat authors, including Greg Austin and Franz-Stefan Gady, have highlighted, taking the Chinese military as a threat without considering its weaknesses is unwise. Any prudent analysis of China’s military evolution must take into account the large blind spots and capability gaps that continue to plague the PLA. Bill Gertz over at the Washington Free Beacon reports on a North Korean submarine-launched ballistic missile (SLBM) test. North Korea’s been testing its missiles quite a bit over the past year. I covered in detail the capabilities of North Korea’s Kh-35 variant anti-ship missile recently for Asia Defense. The United States finally delivered $1.97 million in damages to the Philippines for damage done by the USS Guardian to a protected Filipino reef. The Guardian, a minesweeper, damaged the Tubbataha Reef just over two years ago after running aground. IHS Jane’s 360 reports that Indonesia and Croatia are exploring a defense technology partnership. Indonesia would potentially be the recipient of submarine and satellite technologies from Croatia. Finally, I speak with Asia Defense writer Greg Austin on our geopolitics podcast this week. Greg and I discuss China’s naval capabilities (including the role of aircraft carriers), cyber issues, and Australian national security.